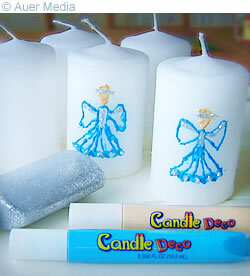 Decorate candles with painted angels. Look at the picture and draw an angel on paper first. 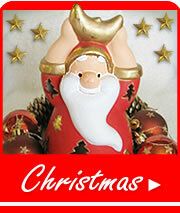 Practise until you can draw an angel like in the picture or design your own angels. Apply candle decorating paint and glitter glue direct on the surface of a candle. Draw the outlines first with a sharp object if you think you might find it helpful. Let paint dry thoroughly before wrapping the gifts.